As a startup you need to focus on getting visibility, acquiring and retaining a strong user base and converting traffic into revenue. In this post you’ll find four simple & powerful tips to grow your business as well as a list of selected growth hacking resources to accelerate your company’s growth. A story is always easier to remember, especially in comparison to just mentioning the name of a product. Telling your personal story and why you are building a specific product is something your customers can relate and connect to. A story lets your customers truly imagine your point of view and the features you implemented, in your product, start to make sense to them. A good story will stick to your audience and people will start telling it to others. Read more on storytelling methods in this great article. Explaining something in great detail to somebody who is not familiar with a specific topic can sound very abstract to the listener. It’s quite clear that being concrete and to the point is better than just beating around the bush. Consciously thinking about how to phrase something short but precise and understandable for everybody is often a challenge, but the more and more you pay attention on explaining something concrete it will be an ease to make a habit out of it. Being emotional on top of being concrete shows more personality and gives your customers a sign that you truly care about them. It shows that you are open and honest to them and that you deeply care about what you are working on. Aligning the expectations of your users and what they get delivered is essential for a great user experience. Clicking on a link with a certain title should guide the user to what the title promised. The result of a Google Search should guide the user to what he searched for. For example, if you recognize that your blog article is always found through a different search term than your article title you should think about changing the title to the one people are searching for to match expectation and result. Bouncing != Bouncing. If you only have a single landing page to browse your product it is quite obvious that the bounce rate will be really high. To get more valuable information about your bounces you can filter the bounces i.e. by setting a timer of 30 seconds. If somebody stays on your site for 30 seconds it is likely that this person is actually interested in your product. A different or additional way of tracking interest could be how far people are scrolling down on your site. To analyse that behavior you could add event listeners which are triggered if a particular section in your page has been reached. The Definite Guide to Growth Hacking – A extensive guide with beautiful illustrations to company growth by Neil Patel & Bronson Taylor. The Ultimate Growth Hacking Sourcebook – An awesome collection of modern Growth Hacking case studies by Tiger Tiger. 10 Effective Growth Hacks to increase your SaaS Revenue – Every Growth Hack in this post works, even if you haven’t nailed product/market fit yet by Thomas Schranz of Blossom. Ultimate Growth Hacker Resource List – A huge list of over 300+ books, articles, tools and more to help with everything growth by Autosend.io. Hackers & Founders TV – Insightful videos on Growth Hacking, I very recommend this source. SEOmoz Blog – A great source for getting tips on SEO, Online Marketing and Business Development. Conversion Rate Experts Blog – Hands-on Growth Hacking Tips. Blind Five Year Old – A blog by an online marketing firm specializing in search, owned by AJ Kohn. Unbounce Blog – Find input specific on optimizing your landing page, online marketing & conversion rate here. Growth Engineering 101 – A step by step guide on Growth Hacking for Founders, Product Managers and Marketers, which will be published as a series of ongoing blogposts and as a book. Defining a Growth Hacker – Great series about the meaning & practical application of a Growth Hacker by Aaron Ginn on Techcrunch. 1000 Grand True Fans – An inspiring article on being aware of each and every of your fans/customers. 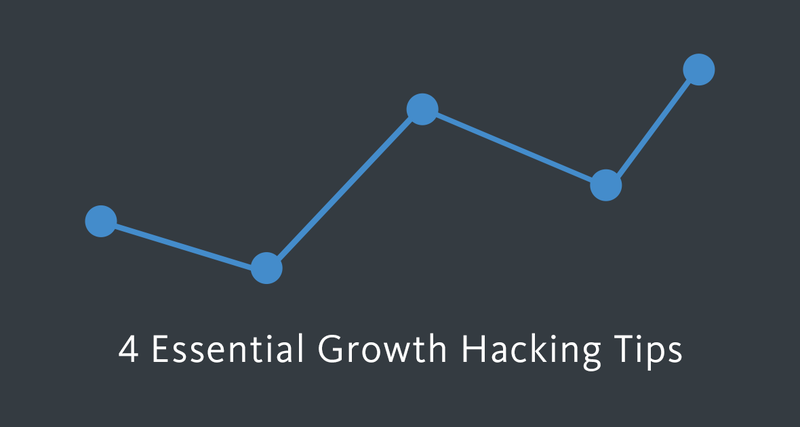 Which Growth Hacking Tips would you recommend and which are you applying? I’d love to hear them in the comments. Receive our articles from business and customer success over to design, engineering & product management right in your email inbox by subscribing here.